On the 23rd March of this year a very poorly sweet stray cat was brought into the GSPCA after being found wandering into someones kitchen near Les Genats Estate. 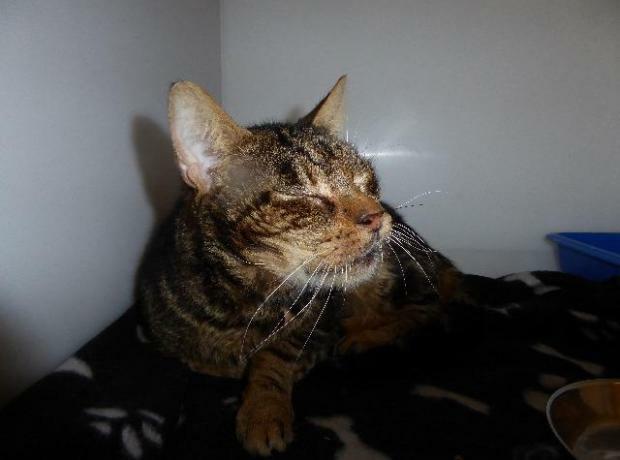 As with all strays under the Guernsey Animal Welfare Ordinance 2012 we held the 7 year old tabby for 21 days but sadly due to no microchiip, tag or lost report we were unable to find the owner of what we found to be a very sick cat. Kit Kat as he has been fondly named is one of the friendliest cats we have at the GSPCA but sadly has a number of health issues.